Mega Wars III, the Rebirth is a multi-player, strategic empire building space game. It is a reincarnation of Mega Wars 3 played on CompuServe and Stellar Emperor played on GEnie in the 1980’s. David Baity is recreating the unique experience that many, many people enjoyed then and cannot find in today’s MMO games! As a Senator and want to be Emperor, take command of your very own scout ship, provided by the Imperial Senate. Test your mettle in real time combat against other pilots. Establish colonies and protect them by establishing alliances with other Senators. Manage your colonial economies to grow your empire and provide resources for expansion. Build ship yards and upgrade your ship to a Dreadnought to become one of the most feared pilots in the galaxy. In an interview with Kelton Flinn conducted by Marty Markowitz we are given some insights into the history. 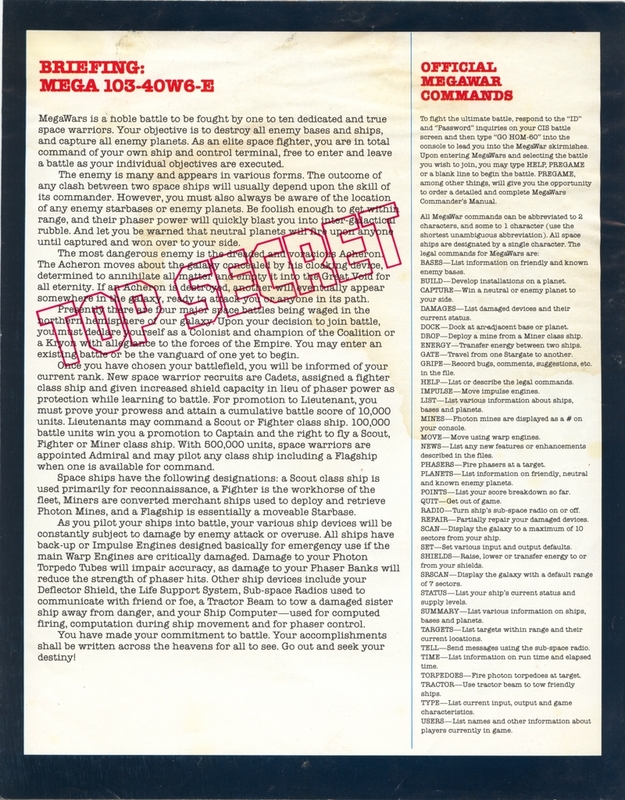 The history of MegaWars III is best told with some quotes from its author, who looked over an early version of this document. Take it away Kelton! The game actually had its roots in a game I wrote when I was a student, which we rather imaginatively called “S”. S was written the summer of 1979 [at the] University of Virginia, building on ideas from previous games. S was the first time John Taylor and I actively collaborated on a game: I did all the programming but John chipped in with quite a few ideas for the game design. The machine was a Hewlett-Packard 2000F time shared BASIC system, it supported 32 simultaneous users at 2400 baud. 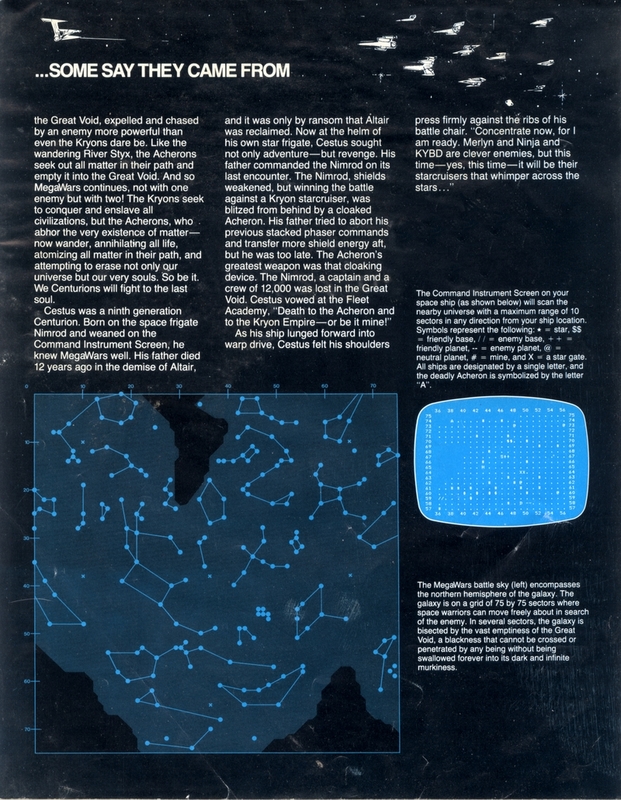 S was the first version designed to be played on a CRT rather than a teletype. The ship-to-ship combat in S was very similar to MegaWars III, and the galaxy and planet generation were the same, but there were far fewer stars for the small computers we had then, and the planetary economics were very much simpler. When we wrote MegaWars III (called that because CompuServe wanted to link it with the earlier successful games) we expanded greatly on the economic aspects, and scaled the game up for 100 simultaneous from the original 8 players. The political aspects of the game were also added then. 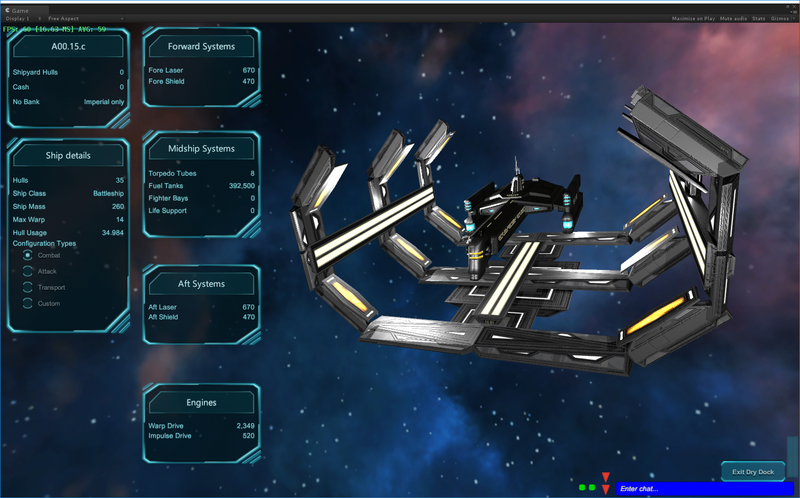 The ship customization was also something we added when expanding S into MegaWars III. Well, originally S was played largely by me and my roommates in college (4th year), and there were only 255 star systems, so competition was pretty fierce for the good planets. We were usually all in the computer room at the same time. One of the more notable events was when one person’s favorite planet was taken, and he picked up a chair and stalked across the room with it to clobber the culprit. “Bob, put the chair down, it’s only a game…” I guess I should have known then we had a potential hit! There was one aspect of S that never made it into MegaWars III. In planetary space, if you could close to within like 0.1 AU of someone, you could board their ship. A top-down map of the ship came up on each person’s screen and you played what we’d now call a real-time strategy game where each person had up to 10 squads of men (depending on how many troops you had on board, so traveling with no troops had a substantial risk!). The attacker brought his men on through one of two portals (think of the opening scene in Star Wars where Darth Vader and the storm troopers blast their way onto the ship) and tried to capture the opposing captain. It usually turned into a race for the defending captain to reach the engine room where the “self-destruct” switch was located before the more numerous attackers caught him. The defender could see where both his and the enemy men were located; the attacker saw only those parts of the ship where his men were located. The “men” fought automatically; the players merely gave orders for the squads to move. Note this was all done with a map drawn with text on the screen. A bit ahead of its time 🙂 If the attacker won, he got to take any and all cargo on the opposing ship. Very cool! Too bad that didn’t make it onto the online version. The first MWIII game started on Jan 19, 1984 and ran until the 15th of March, a much longer game than later runs. Ming was the historic first president and Avenging Force’s leader Khayyam was emperor. Welcome to the reproduction of the CIS/Kesmai game MegaWarsIII. The following Compuserve MegaWarsIII manual was used as a guide for development. I am trying to keep the original look and feel how ever using ASP.NET AJAX enhances some of the features such as the Planet Management. Legal stuff: This recreation was completely written by myself with the exception of the public code from SIMPM written by Red Pheionx. It was written without the help or assistance of any Kesmai staff and there is no original game code included, examined or provided for this recreation. 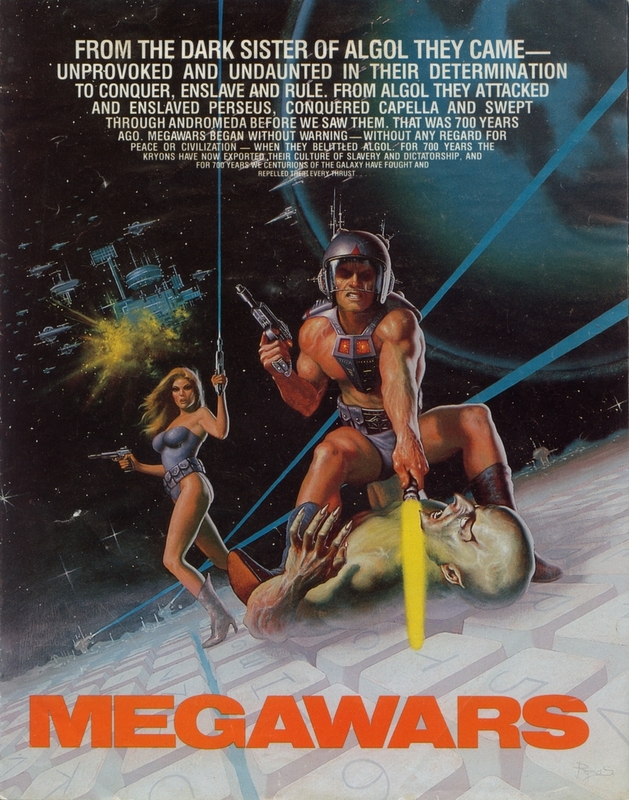 There are no outstanding Trademark’s registered for the names Mega Wars, MegaWars with or without the number such as MegaWars3, Mega Wars 3, MegaWars III or Mega Wars III. ABANDON abandon the base being orbited. ATTACK  attack a base from orbit. BANK  deposit, withdraw, or show balance. COMBAT enter or leave the combaMerminal mode. DRYDOCK [SAVE] enter dry dock. DUMP  jettison fuel to cool the engines. END leave flight mode, when orbiting a planet. ENVIRONMENT . report on a planet. ENVIRONMENT  examine the current planet, or the one specified. ENVIRONMENT  display current star system, or the one specified. ESTABLISH  establish a new base. FIGHTER transfer fighters between ship and a base. LIBRARY . report on a planet. LIBRARY  examine the current planet or the one specified. LIBRARY  display current star system or the one specified. LOAD toad a torpedo tube. MISSILE [[,]] fire missiles at a ship. OCCUPY  land troops on a base. PAY pay off the a colony’s loan with cash. PROBE  fire a probe to a system, or recall the probe. SCAN  find range and heading to star, or all nearby stars. SCOOP scoop a gas giant for fuel. SEARCH  search hyperspace for other ships. SEND , send an integer message to another ship. SHIELD [[,]] set energy in shields. SQUELCH [[,] block radio messages from turkeys. STATUS print the ship’s status. SURVEY [.] survey a base. TAX collect taxes from a base. TORPEDO [,] fire a torpedo. TRANSFER , transfer metal to another ship. TROOPS transfer troops between ship and base. TUNE , tune the two hyperspace radios. WARP [[,]] warp drive (hyperspace). * Command has and may not be added to the recreation.